In July of 2010, Blizzard released StarCraft II: Wings of Liberty with promises that the next two parts of the trilogy would be out soon. Five and a half years later, “soon” has finally arrived. The release of StarCraft II: Legacy of the Void might have been overshadowed by Fallout 4 and Tomb Raider—seriously, why release this game today?—but for StarCraft fans, this is way more important than vaults and tombs. Today marks the end of a 17-year saga, one that started way back in 1998 when we first met the likes of Raynor and Kerrigan. Although the universe of StarCraft will inevitably continue, the story we’ve followed for so many years is finally coming to a close. Legacy of the Void starts with a bang, picking up right where the prologue (Whispers of Oblivion) left off. 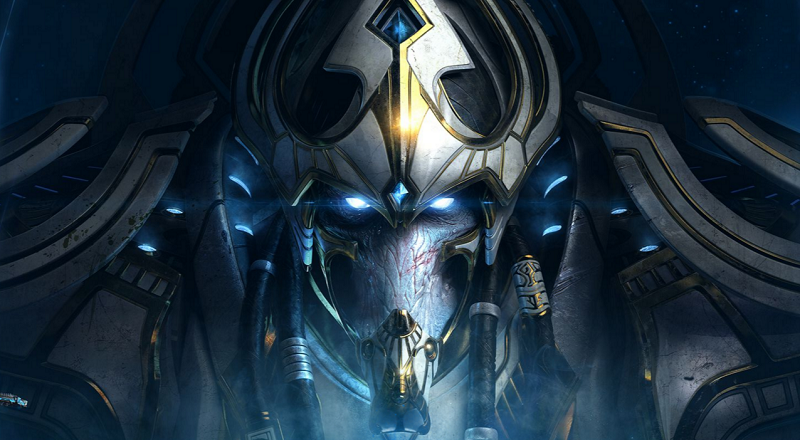 Artanis is about to send his forces on Aiur in an attempt to reclaim it; Zeratul pops in and tells him that’s a bad idea; things escalate quickly. There are some killer cutscenes (and gut punches) fairly early in the campaign. Amon, the main antagonist, is very bad news. From the getgo, Legacy of the Void makes it clear that this guy is way worse than anything we’ve fought in StarCraft before. Which is rad. There’s a brief cinematic called “Story so far” that I highly recommend watching before you jump into the campaign, even if you’ve already played every StarCraft game. It’s a really helpful refresher. Like Wings of Liberty and Heart of the Swarm before it, Void gives you access to a ton of units and abilities in the single-player campaign that aren’t available in standard multiplayer. You can replace your Stalkers with old-school Dragoons, for example. Your Zealots can sub out for Centurions, ground soldiers who can stun groups of opponents as they charge forward. You’ll discover new variations based on how you play. You can also call upon an array of abilities from your spaceship, the Spear of Adun, which you can customize while you’re at base. One of these abilities, for example, lets you summon a pylon anywhere on the map. Another ability will make it so you harvest vespene automatically, without using any probes. You can also fire giant blasts of energy, which are way weaker than they should be. The story is, from what I’ve seen so far, is delightfully cheesy, full of silly dialogue and alien artifacts with the power to do just about anything the plot requires them to do. At this point, it’s all typical SC2 fare. The mission design is stellar, playing around with unique mechanics and situations in a way that’s really satisfying. One of my favorite missions so far involved defending a temple, waiting for the Zerg to mass up, and then detonating that temple to blow up an entire planet, taking all the Zerg with it. The game’s also pretty damn hard, which is refreshing. I’ve been playing on Hard difficulty but had to swap to Normal for one particularly tough mission on Shakuras. I imagine playing it all on Brutal will be... challenging. So far, I like the game a lot. I’ll have much more to say in the coming days, as I finish the campaign and dig into Legacy of the Void’s new cooperative and competitive features. More to come.